Today tens of thousands of shareholders descend on Omaha, Neb., for the annual Berkshire meeting – dubbed by some as the "Woodstock for Capitalists." Berkshire Hathaway Inc. (NYSE: BRK.A, BRK.B) Chairman Warren Buffett recently sent a letter to shareholders reminding them why the yearly Berkshire meeting is so valuable. "If we were partners with you in a small business, and were charged with running the place, you would want to look in occasionally to make sure we hadn't drifted off into la-la land," he wrote. Of course, there's more to focus on this year than Buffett's health. Shareholders will be curious about a slew of business decisions made by Buffett's firm, Berkshire's succession plan, Buffett's thinking on the 2016 presidential election, and more. Here's what to expect during the Berkshire Hathaway annual shareholder meeting — and our favorite pick from the list of Warren Buffett stocks to own. The most important discussion for any shareholder is to know about the performance of the company. Last year, Berkshire Hathaway lost shareholders 12.5%. That's a steep decline compared to the S&P 500's 1.2% return in 2015, including dividend reinvestment. So, investors will likely want to know what went wrong and what has been done to right the ship. Berkshire Hathaway has been on a solid run to start 2016 thanks to large, winning stakes in companies like Kraft Heinz Foods Co. (NYSE: KHC), International Business Machines Corp. (NYSE: IBM), and The Coca-Cola Co. (NYSE: KO). Berkshire A shares are up nearly 12% since Jan. 1. The stabilization of oil prices has helped push up holdings in Kinder Morgan Inc. (NYSE: KMI), which are up more than 24% so far this year. Meanwhile, consumer spending stocks have helped offset weakness in the financial sector, where Buffett owns sizeable stakes of Goldman Sachs Group Inc. (NYSE: GS) and Wells Fargo & Co. (NYSE: WFC). But perhaps the biggest question is what Buffett plans to do with his 15% stake in American Express Co. (NYSE: AXP). The credit-processing giant has struggled over the last year after losing a major partnership with Costco Wholesale Corp. (Nasdaq: COST). AXP stock is off 4.5% this year, but it has rallied back from a dismal February performance. In December, Warren Buffett endorsed Democratic front-runner Hillary Clinton for the presidency and called for higher taxes on wealthier Americans. In a speech, Buffett explained that the top 400 U.S. wage earners made an average of $48.6 million in 1992. That figure swelled to $335.7 million in 2012, according to data available from income tax returns. Buffett, who has a net worth north of $70 billion, said these individuals have seen the tax rate fall by roughly 16.3% in that same time. Clinton has proposed a tax plan called The Buffett Rule. It would require anyone with adjusted gross income of more than $1 million to pay a minimum of 30% in income taxes. The proposal would also include an additional 4% surcharge on adjusted gross income more than $5 million. Expect Buffett to weigh in on Hillary Clinton, Republican front-runner Donald Trump, and more during the Berkshire meeting this weekend. Given Berkshire's significant exposure to the insurance industry, the long-term risks of climate change are critical to this audience. For that reason, climate research and global warming activist James Hansen plans to speak at the Berkshire meeting. Hanson will argue in favor of a recent proposal from the Nebraska Peace Foundation for the company to conduct a public report on the associated insurance risks of climate change. The Nebraska Peace Foundation only owns one share of Class A Berkshire stock. However, it has a very strong record of activism on the topic, and wants Buffett's firm to issue an insurance-risk report similar to the one prepared by the Bank of England last year. Buffett and the firm's board of directors have recommended that shareholders vote against the proposal for the report. In a letter to investors, Buffett previously said that climate change does not present a financial risk to Berkshire's property insurance firms. He says the companies regularly adjust premiums and exposure to claims tied to climate issues. "As a citizen, you may understandably find climate change keeping you up nights," Buffett wrote. "As a homeowner in a low-lying area, you may wish to consider moving. But when you are thinking only as a shareholder of a major insurer, climate change should not be on your list of worries." Berkshire Meeting Talking Point No. 4: Who Will Succeed Warren Buffett? Buffett has no plan to retire. Last October, he said in an interview that stepping down from the company he's led for 52 years would be "crazy." He also said that sitting on a beach during retirement was "not my idea of living." That said, Warren Buffett has been at the helm of Berkshire Hathaway for more than five decades and just turned 85 years old. His vice chair, Charlie Munger, is 92 years old and isn't likely to take control of the company any time soon. No one has beaten Father Time yet, and Buffett will hand over control of the company, potentially before the end of the decade. Much speculation has centered on the type of executive the company will appoint to replace Warren Buffett: an investment manager or an executive who has run companies as a CEO or COO. Investment managers whose names have been floated include Ted Weschler and Todd Combs. On the executive side, the two most common names are Ajit Jain and Greg Abel. The former heads Berkshire's largest insurance business; the latter is head of energy and utilities. 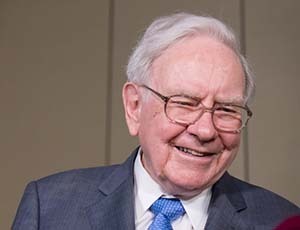 Buffett once famously said, "Ajit [Jain] has probably made more money for Berkshire Hathaway than I have." It appears that both Buffett and Munger would prefer individuals with business experience. With hundreds of thousands of employees and $365 billion in market cap, it could come down to which executive has a similar organizational chart. It appears that Abel has the inside edge. Last year's annual Berkshire meeting had record attendance. More than 40,000 shareholders packed CenturyLink Arena. Buffett and Munger traditionally take questions from shareholders about any topic. Buffett has called the "question-and-answer session" his favorite part of the annual meeting. So outside of performance and politics, what other questions may come this weekend? First, 3G Capital, which has been a partner of Berkshire's in recent deals – is having a traumatic year. The company's been laying off employees, raising concerns about its financial health. Next, Buffett and Munger could face questions about how the firm plans to expand in the years ahead. To that end, it notably just completed its largest deal ever with the $37.2 billion purchase of Precision Castparts Inc. (NYSE: PCP). Earlier this year, Warren Buffett increased his stake in a diversified energy, manufacturing, and logistics company to more than $5 billion. Since the middle of 2015, Buffett has made this firm the sixth-largest holding at Berkshire Hathaway. He now owns about 75.55 million shares, good for a 14.27% stake in the company. The oil stock is Phillips 66 (NYSE: PSX), which has seen its stock increase by nearly 10% since the start of the year, but it has much more room to run in 2016. Money Morning Chief Investment Strategist Keith Fitz-Gerald first recommended Phillips 66 stock in March. Headquartered in Houston, Texas, Phillips 66 generated $99 billion in revenue in 2015 and employs 14,000 people worldwide. Buffett began buying the stock when oil prices slumped to 13-year lows. "Warren Buffett has purchased more than $1 billion in Phillips 66 this year alone as oil sank to $26 a barrel," Fitz-Gerald said. "And that's in addition to the $5 billion he already owned at the tail end of last year,"
And Fitz-Gerald can tell you why Buffett loves PSX stock. First, he says, oil stocks are offering investors a tremendous opportunity. "Growth may slow, but it will not stop because oil remains relevant for huge portions of the planet, which means it's a 'must have.' And even if nobody digs up another barrel, the refiners and pipelines will still be making it and moving it." Among oil stocks, Fitz-Gerald thinks Phillips 66 is an especially appealing choice. "It doesn't drill for oil or natural gas, which means it's not as vulnerable to sustained low oil and gas prices as other oil companies are," he said. "And even though Q4 earnings dropped, it's beaten EPS for six consecutive quarters. Plus, it generates billions in cash from well-run operations every quarter."